Considering the recent terrorist events that have taken place in Paris, it is not surprising that emotions are running high. The people of France – and Paris in particular – have said that enough is enough. They citizens of Paris have taken to reclaiming their city; against terror and now against corporate greed destroying their country. 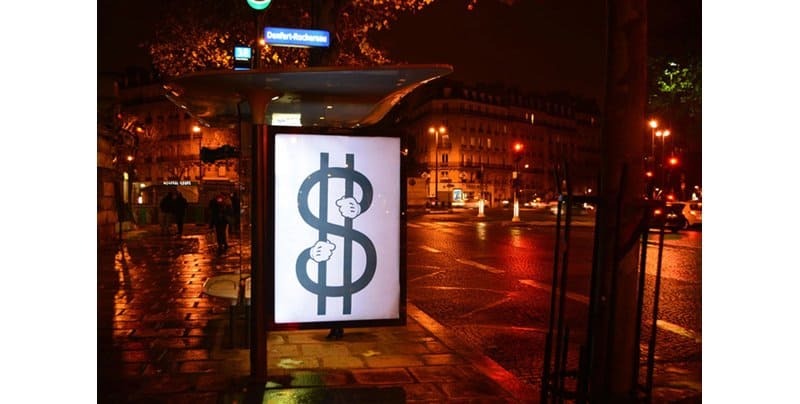 This is a list of ten shocking advertisements found around throughout France in an attempt to provoke and retake the country from their corporate captors. 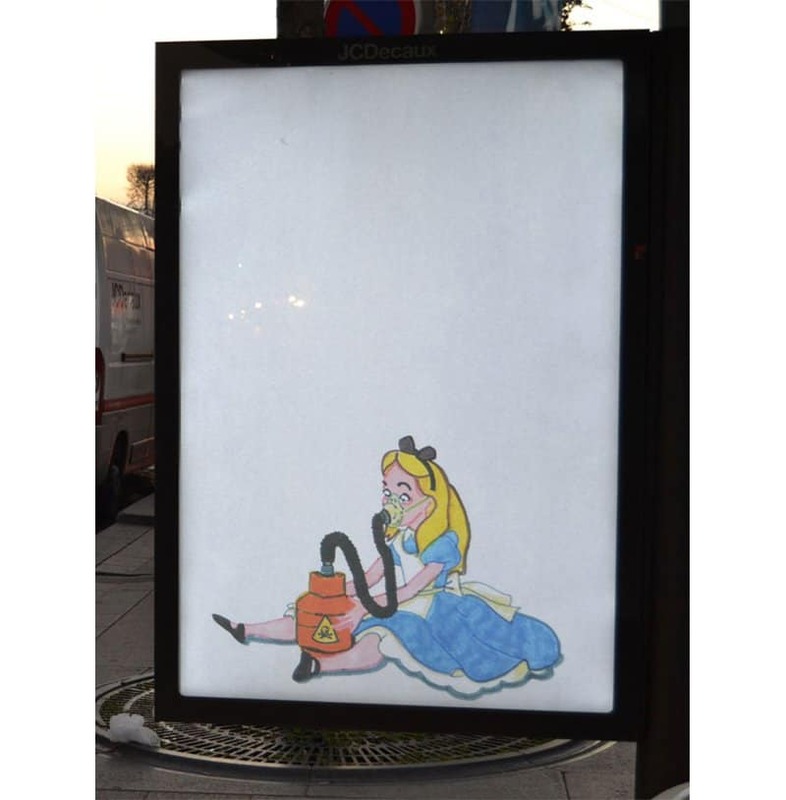 Taking a children story character and placing a dark turn on it signifies the end of the world of innocence as we know it, all thanks to air pollution. 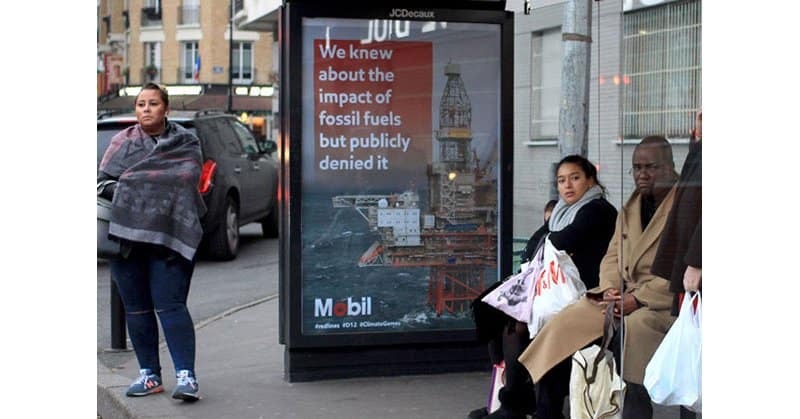 This ad shows that massive oil and petroleum companies such as Mobil know exactly how their product is harming not only the environment, but the people of the world as well, yet they are denying any knowledge. 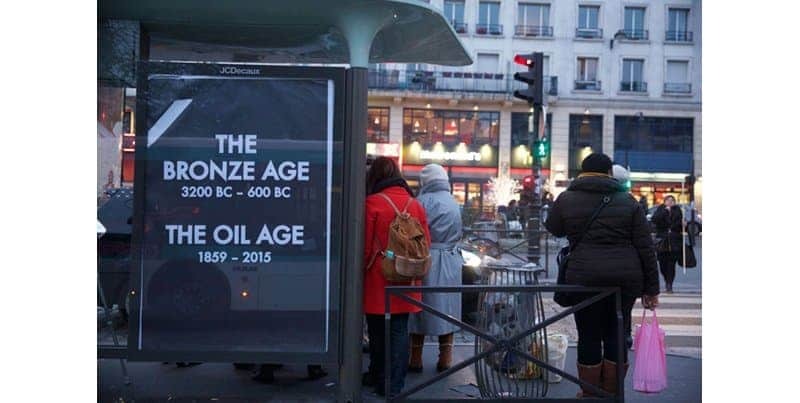 It took Man a long time to progress beyond the bronze age, but people want a faster evolution. We know that oil and its processes are bad for the world’s health, and we want to move beyond that in 2015. Airlines have also been notoriously bad, and thus have been a picking point of many disgruntled people. 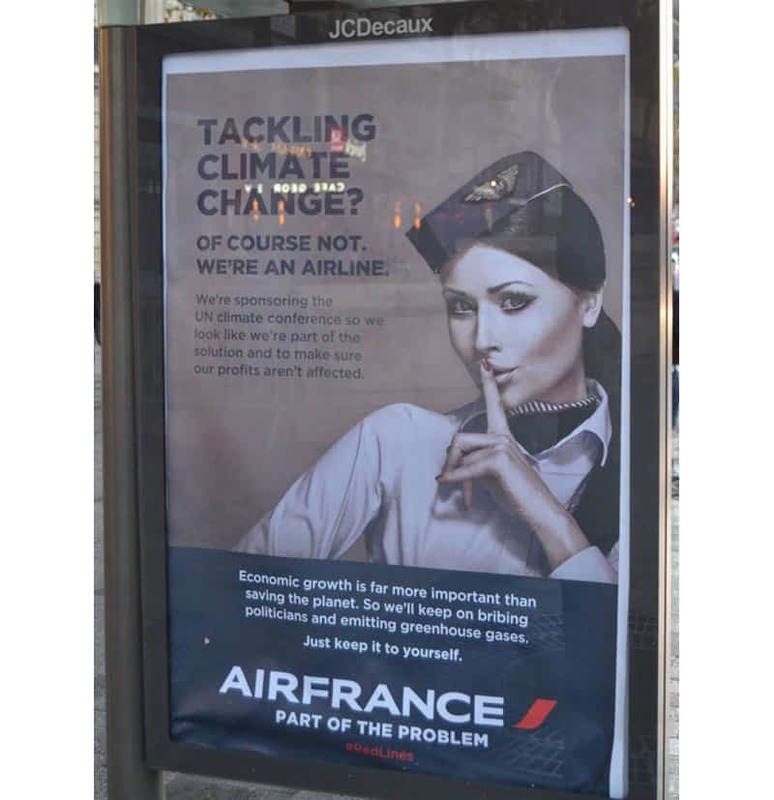 This poster shows the two-faced nature of the airlines whereby they sponsor the very event that is meant to contain and prevent the damage they cause. 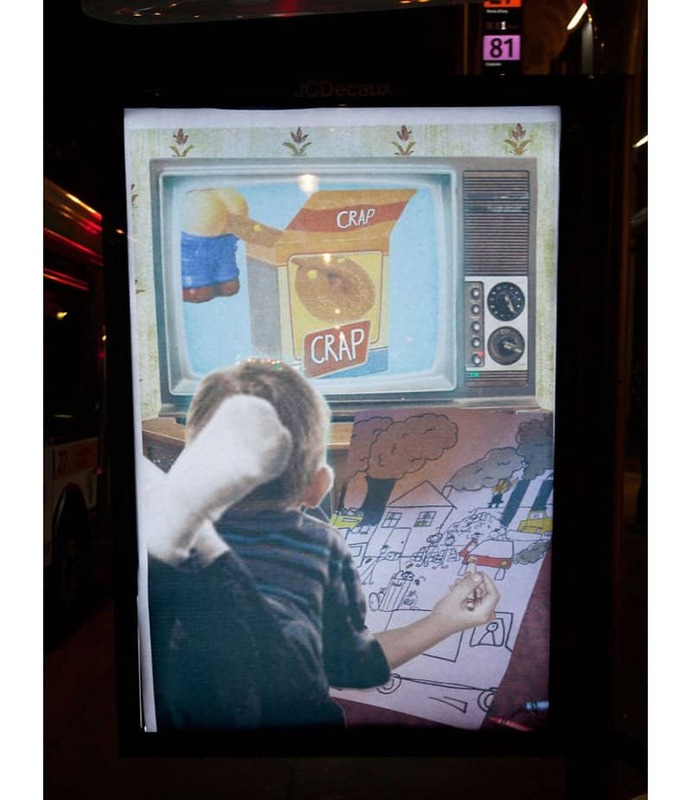 Showing the power of televisions, this poster depicts a child learning from the television. Its just a pity there is nothing but “crap” on it. 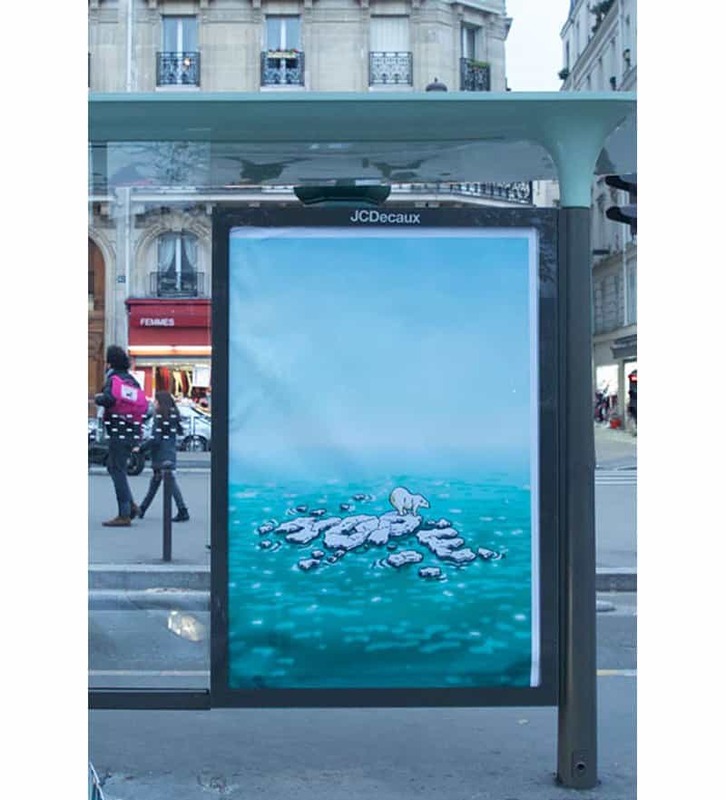 With the icecaps melting due to global warming, which is in turn due to pollution, this poster illustrates a powerful message of the hope for this polar bear melting away. It is not just the polar bears affected by mankind, it is also the habitats of many others being destroyed by poor practice and selfishness. 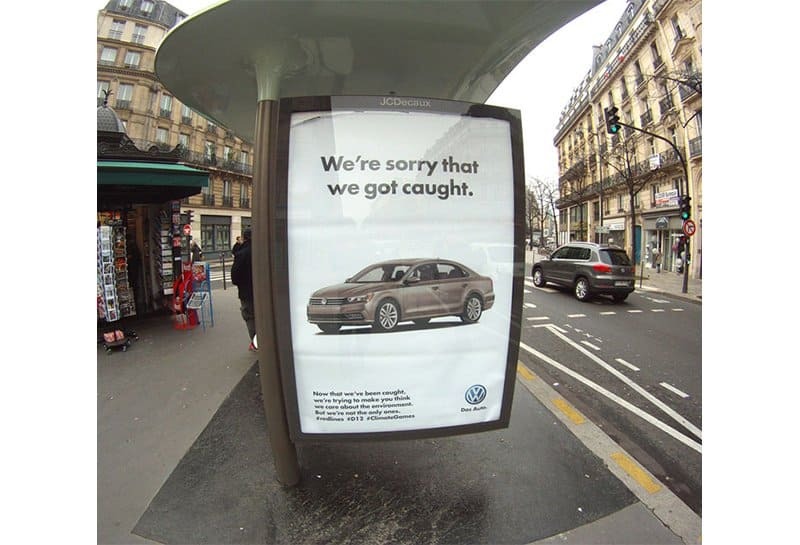 Since VW got caught tampering with test results for their diesel motors, they have been on the bad end of a stick for a while, but probably won’t change their ways. The people of Franceare sick of the leniency given towards those who do nothing but destroy. 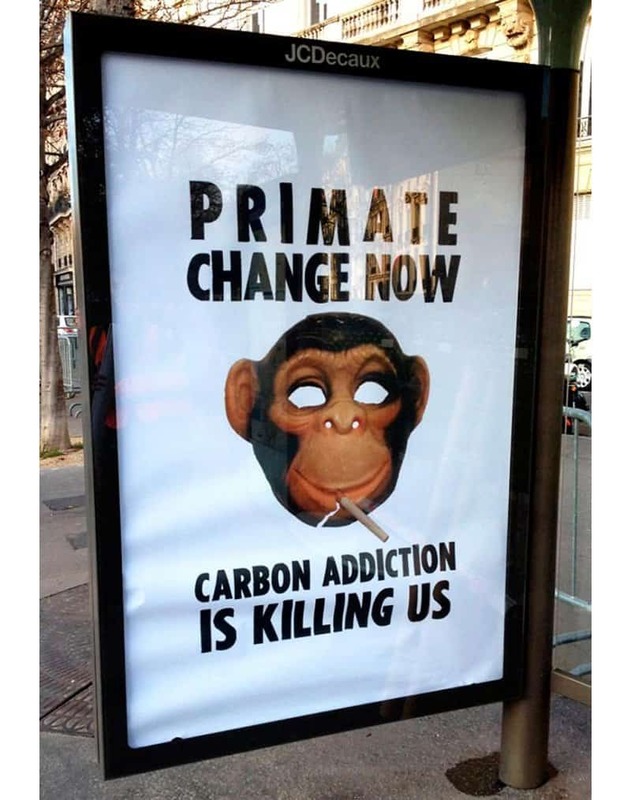 This play on words for primate/climate change shows that we have evolved as a species to become reliant on our carbon fixation. It is this very fixation that is causing an “illness” in us all and in the world. Many internet warriors will not step foot out of their comfort zone in the real world. 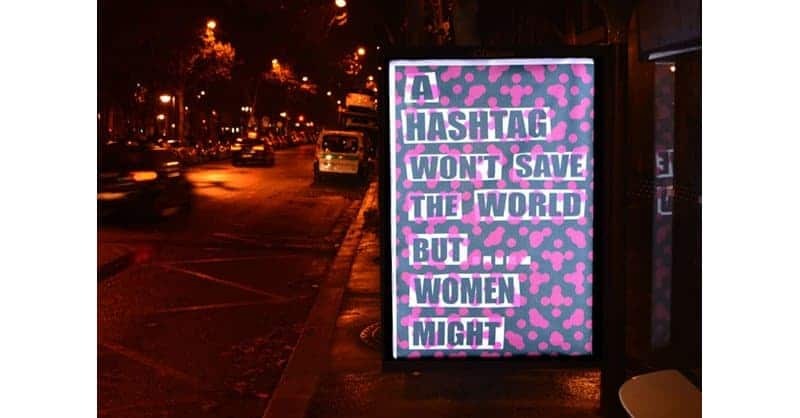 This poster calls to arms many women who would usually post sad statuses on Twitter and Facebook but would never fight for a better world offline. When money becomes powerful enough to bend the law, people will start to rise up. This advertisement is only the start if nothing gets done about it.